However, in the best of generations, they would not restrict themselves to taking fatwa from a single scholar, such that they would not permit seeking fatwa from another scholar, although when individuals had a particular affinity with a scholar of a certain land, their reliance on him would be greater than others, so by virtue of that affinity, they would refer to that scholar in all matters or most of them. Of this is what al-Bukhari transmitted from ‘Ikrimah that the people of Madinah would ask Ibn ‘Abbas: “Is it permissible for a woman [that is a pilgrim], when she is menstruating, to set off for her hometown after the Tawaf al-Ziyarah and omit the Tawaf al-Wida‘?” Ibn ‘Abbas answered them by [saying] that it is permissible for her to set off and omit the Tawaf al-Wida‘. They said to him: “We will not adopt your opinion, and leave the opinion of Zayd.” In the transmission of al-Isma‘ili: “We do not care, whether you have issued us a fatwa or you have not issued us a fatwa. Zayd ibn Thabit says: ‘She does not set off.’” In the transmission of al-Tayalisi: “We will not follow you, Ibn ‘Abbas, when you oppose Zayd.” This is because they had greater confidence in Zayd ibn Thabit. Later, Zayd ibn Thabit retracted from his opinion when he came to know of the hadith of Safiyyah, as transmitted by Muslim from Tawus: “I was with Ibn ‘Abbas when Zayd ibn Thabit said to him: ‘You issue fatwa that a menstruating woman departs before having her final meeting with the House?’ Ibn ‘Abbas said: ‘At the least, ask so-and-so Ansari woman: Did the Prophet (Allah bless him and grant him peace) command her?’” He said: “Subsequently, Zayd ibn Thabit returned to Ibn ‘Abbas, laughing, and saying: ‘I do not believe but that you told the truth!’” When Zayd ibn Thabit (Allah be pleased with him) retracted, the people of Madinah were content that it is permissible for her to set off [before performing the Tawaf al-Wida‘]. The upshot is that most people would refer to those they trusted, and they would prefer his fatwas over the fatwas of others. There were some who did not suffice with seeking fatwa from a single scholar, because the madhhabs were not codified in that time, so they did not believe it was forbidden to seek fatwa from anyone that was accessible to them, even if it was someone besides whom they normally referred to. There was no fear at that time that people would select from the different madhhabs that which accorded with their passions because it was difficult for the questioner to know the opinion of the one he is seeking fatwa from before he asked him, which was because the madhhabs were not yet codified. But after the codification of the four madhhabs of jurisprudence with a specific structure, and books were compiled on them, and they condensed into schools which were dedicated to studying them, and the opinions of these madhhabs became well-known and familiar to the people, if it was permitted for everyone to select from these opinions whatever he wished whenever he wished, that would lead to following desires and not following the bright Shari‘ah. There is no doubt that each of these jurists only selected an opinion on the basis of the strength of its evidence according to him not on the basis of what his heart desired, so it would be possible for another mujtahid to select or reject what he said due to a stronger evidence that appeared to him from the sources of Islamic legislation. However, the layperson who is not able to compare between these opinions on the basis of the evidences of the Shari‘ah, if he was given the option to adopt what he wished and reject whatever he wished, it would be feared for him that he will adopt from these opinions that which accords with his desires, and not because of the proof of the Shari‘ah that was the basis of that opinion. This is why the ‘ulama’ said that it is obligatory for the non-mujtahid to do taqlid of one of these four madhhabs, and not do taqlid of a madhhab besides them. It is apparent from all of this that the objective is adherence to what has come of the laws of the Shari‘ah in the Qur’an and Sunnah, and that it is not usually easy for a non-mujtahid to derive these laws by himself, either because he is unable to understand them, or because the texts hold more than one meaning, or due to the apparent contradiction of evidences, so he relies on the opinion of a mujtahid whose opinion he has trust in over other than him, or the opinion of a mujtahid whose madhhab is well-known in his land. This is adoption of a madhhab (tamadhhub) or individual taqlid (al-taqlid al-shakhsi). However, adopting a specific madhhab is not negated by a learned scholar – who has insight into the evidences of the laws in an issue from the issues – adopting the opinion of another madhhab, not on the basis of whim, but on the basis of a stronger evidence that appears to him. Based on this, many of the jurists of the Hanafis issue fatwa in many issues according to an opinion that opposes the opinion of Imam Abu Hanifah (Allah – Exalted is He – have mercy on him), as they did in the issue of cropsharing (muzara‘ah), and taking payment for teaching the Noble Qur’an, and in the issue of a person duped [in a monetary transaction] having the option [to cancel the deal] and other well-known issues. This is due to what our ‘ulama’ have stated explicitly that taqlid of a specific Imam is not a ruling of the Shari‘ah per se, but it is only a fatwa that was issued in order to regulate the affairs of religion, and to avoid what was feared in not doing so, of the corruptions of playing [with the religion] and following desires. Just as rejecting taqlid is deserving of censure, extremism and rigidity therein is also deserving of condemnation. 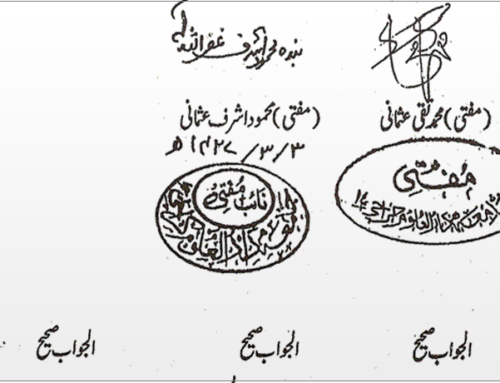 It has preceded that a mujtahid is not imitated with the belief that he is the lawgiver and bringer of laws, but he is only imitated with the belief that he is a clarifier of the laws and an elucidator of the legislations and one who reveals the intent of Allah (Exalted is He) and the Messenger (Allah bless him and grant him peace). This is why taqlid is only acted upon when a matter negating that belief or eliminating it does not arise. Thus, if it is clear to a scholar with depth of insight, perception of mind, fairness of temperament, by his investigation, or to a layperson through the medium of that scholar by the testimony of his heart – with the condition that he is fearful [of Allah] (muttaqi) – that the stronger [position] in this issue is another opinion, it will be examined if there is any possibility for the permissibility of acting on the weaker position based on the evidence of the Shari‘ah or not? If there is scope there, and it is feared that in publicising the disagreement there will be tribulation and confusion amongst the commoners, it is better in such a situation to act on the weaker position, to save the common Muslims from division. This is proven by what ‘A’ishah (Allah – Exalted is He – be pleased with her) narrated, she said: “The Messenger of Allah (Allah bless him and grant him peace) said: ‘Do you not see that your people, when they [re-]built the Ka‘bah, they were deficient in [building it on] the foundations of Ibrahim?’ So I said: ‘O Messenger of Allah! Will you not return it to the foundations of Ibrahim?’ So he said: ‘If it were not for the recentness of your people in disbelief, I would have done [so].’” The Six transmitted it besides Abu Dawud. So despite building the Ka‘bah on the foundations of Ibrahim (upon him peace) being superior, the Messenger of Allah (Allah bless him and grant him peace) opted for the weaker option, for fear of tribulation and confusion, because this weaker option was permissible in the Shari‘ah, even if weak…Likewise it is narrated from Ibn Mas‘ud (Allah – Exalted is He – be pleased with him) that he prayed four (meaning, in travel), so it was said to him: “You criticise ‘Uthman [for praying four in travel], and then you prayed four? !” He said: “Dissention is evil.” Abu Dawud transmitted it. So despite it being stronger according to Ibn Mas‘ud (Allah – Exalted is He – be pleased with him) to shorten [the prayer] in travel, he prayed it in full to avoid dissention and evil. Apparently, he believed in the validity of that also, so by this what we mentioned – that if the weaker option is permissible, opting for it is better to avoid tribulation and confusion – is strengthened. However, if the weaker option does not allow for permissibility, rather it necessitates the omission of an obligation or the performance of a prohibition, and it has no evidence besides analogy, and there is an explicit authentic hadith for the stronger side, it is necessary to act on the hadith without hesitation, and taqlid is not permissible in this situation at all, because the foundation of religion is the Noble Qur’an and the Sunnah, and the objective of taqlid is nothing besides acting on them with ease and safety. So when the harmony between them [i.e. taqlid and acting on the Qur’an and Sunnah] is negated, it is necessary to act on the Qur’an and Sunnah, and rigidity on taqlid in such a situation is the taqlid on which censure has occurred in the Qur’an and Sunnah and the statement of the ‘ulama’. Thus it is narrated from ‘Adiyy ibn Hatim (Allah – Exalted is He – be pleased with him), he said: “I came to the Prophet (Allah bless him and grant him peace), and I heard him recite: ‘They have taken their rabbis and their monks as gods beside Allah’ (9:31) He said: ‘They would not worship them, but when they made anything halal, they considered it halal, and when they made anything haram, they made it haram.’” Al-Tirmidhi transmitted it. And the practice of the Salaf and the verifiers has always been that whenever it appears to them that their opinion or the opinion of another goes against the command of Allah (Exalted is He) or His Messenger (Allah bless him and grant him peace) they renounce it immediately, as is narrated from Numaylah al-Ansari (Allah be pleased with him), he said: Ibn ‘Umar (Allah – Exalted is He – be pleased with them) was asked about eating hedgehog, so he recited: “Say: I do not find, in what has been revealed to me, anything prohibited for anyone who eats” [to the end of] the verse (6:145). So a shaykh next to him said: I heard Abu Hurayrah say: Hedgehog was mentioned before the Messenger of Allah (Allah bless him and grant him peace), and he said: “An impurity from the impurities,” so Ibn ‘Umar said: “If the Messenger of Allah (Allah bless him and grant him peace) said this, it is as he said, as we did not know.” Abu Dawud transmitted it. The ‘ulama’ of the Hanafis also remained on the practice of this principle, so they left the opinions of their Imam in a number of issues, and by this it becomes clear to every fair person that what some people accuse them of, of fanaticism and rigid taqlid, is a clear error which resulted from looking at the transmissions without understanding…However, it is not permissible, despite abandoning taqlid in this issue, to attack the honour of the mujtahid by lengthening the tongue against his respected self or holding a bad opinion in the heart that he abandoned an authentic hadith, because it is possible that that hadith did not reach him, or it reached him with a weak chain, or that hadith was interpreted by him with an indication of the Shari‘ah. So he is excused. And vilifying the perfection of their knowledge due to being unacquainted with that hadith falls under the totality of lengthening the tongue against them because it is established that some hadiths did not reach some of the senior Sahabah regarding whose perfect knowledge there is no doubt, and that was not considered a deficiency in their perfection. Thus it is narrated from ‘Ubayd ibn ‘Umayr (Allah – Exalted is He – have mercy on him) in the story of the seeking of permission by Abu Musa (Allah – Exalted is He – be pleased with him) the statement of ‘Umar (Allah – Exalted is He – be pleased with him): “This command of the Prophet (Allah bless him and grant him peace) was hidden to me. Trading and markets distracted me.” Al-Bukhari transmitted it. Likewise when a muqallid of that mujtahid, his breast has not expanded in that issue, and he thinks – due to good opinion of the mujtahid – that his opinion does not go against the hadith, so he continues to do taqlid of him in that issue due to this opinion, and he does not reject the authentic hadith, but he does not understand the agreement of his Imam with that authentic hadith in detail, it is not permissible to blame that muqallid, because he is also adhering to evidence of the Shari‘ah, and he does not aim but adherence to the Shari‘ah; and likewise it is not permissible for that muqallid to condemn that scholar who left taqlid in that issue due to the aforementioned reason, because this variation of theirs is akin to the variation which occurred amongst the Salaf and on which the ‘ulama’ said: “Indeed our madhhab is correct – probabilistically – with the possibility of being incorrect, and the madhhab of others is incorrect – probabilistically – with the possibility of being correct.” So when the other side has the possibility of being correct also, how can it be permissible, because of that, to declare any [of them] misguided, or to declare him a sinner, or to accuse him of bid‘ah, or Wahhabiyyah, and cause envy, rancour, obstinacy, dissension, backbiting, insult, abuse, vilification and curse which are absolutely forbidden?! That which al-Tahawi (Allah – Exalted is He – have mercy on him) intended was that adopting a specific madhhab does not negate that a scholar like al-Tahawi adopts an opinion besides the opinion of his Imam in an issue, otherwise he will be a fanatic. 1. The first level is the taqlid of the layperson who does not have knowledge of the Qur’an and Sunnah, nor mastery of the sciences derived from them. Those who graduate from the seminars (madaris) and religious universities and have not acquired an ability by which they are able to compare between juristic opinions in light of the Book and Sunnah are included amongst them. The ruling of these [people] is that they adhere to the madhhab of a specific Imam, and they do not adopt [anything] besides the opinions of their Imam, because the opinion of their Imam is a proof with respect to them, and they do not have the right to assess whether the opinions of their Imam are against the Book and Sunnah by their mere opinion, because that which is necessary for such an assessment is not available to them. 2. 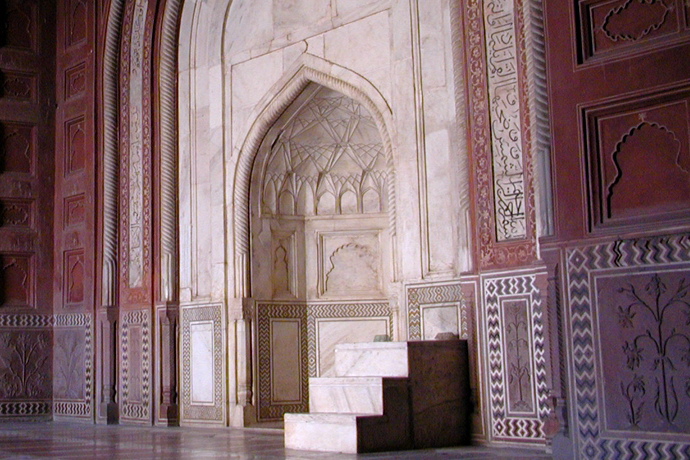 The second level is the taqlid of the learned scholar, who, although he has not reached the level of complete ijtihad, but because of the expanse of his knowledge of the sciences of the Qur’an and Sunnah, and his mastery in the madhhab of his Imam, and his extensive experience of jurisprudence and fatwa with skilled teachers, he acquired a strong ability to inspect the evidences of the jurisprudential rulings. Although such a scholar does taqlid of his Imam in most of the chapters of jurisprudence, nonetheless, when he finds an opinion of his Imam against a clear text and he does not find, despite his lengthy investigation, anything that contradicts that text, it is permissible for him to leave the opinion of his Imam because of that clear text, as we have mentioned previously from the statement of Imam Shaykh Ashraf ‘Ali al-Thanawi (Allah – Exalted is He – have mercy on him). 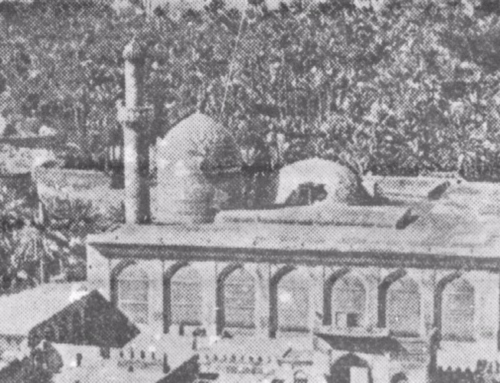 Likewise, when such a scholar feels that in the madhhab of his Imam in an issue from the issues there is a severe crisis, and that there is a widespread need to avert this crisis by opting for another juristic madhhab from the four followed madhhabs, it is permissible for him to issue fatwa or act on the opinion of another mujtahid besides his Imam, just as the Hanafis did in the issue of the wife of a lost man and other [issues], as will come – if Allah (Exalted is He) wills – in its place. However, the most precautious [route] in this age in the issues in which there is a widespread affliction is that a man does not act independently in such issues with his individual opinion; rather, he consults other ‘ulama’, and he does not issue a general fatwa except after acquiring the agreement of a body of firmly-grounded scholars. 3. The third level is the taqlid of a mujtahid in the madhhab, and he is the one who, although he is a muqallid of his Imam in the principles, nonetheless, he has acquired a degree of ijtihad in the peripherals or in the jurisprudential cases (nawazil). The scholars of extraction (takhrij) and assessment (tarjih) and the mujtahids in jurisprudential issues (masa’il) are included in this as will come – if Allah (Exalted is He) wills. Assalamalaikum,I have always held aalims of deoband in high esteem for their profound in depth ilm deen.Born hanafi I read a lot to find which masalak is correct with costant dua to Allah to guide me to the right and Merciful Allah settled me on my own hanafi masalak.This article is a masterpiece and deserves that all muslims read it.My email to many on my mailing list was also marked for you so that you send such gems of knowledge to them also.May your arms,mind and heart stay strong in the sevice of Allah and may He give long healthy,wealthy life to you all in His service.Wassalam. Same case with me , Alhamdulillah. Al hamdulillah. Nice and easy explanation of a complex subject. May Allah shower his mercy and blessings upon Mufti sahib.